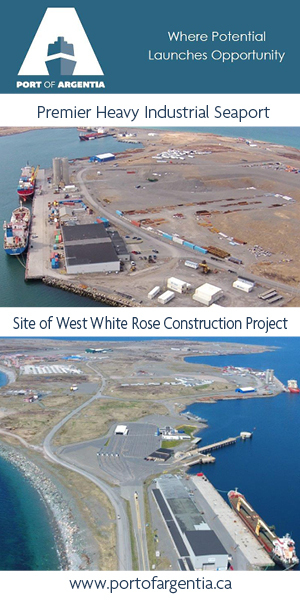 The West White Rose project in Newfoundland, Canada includes the construction of a concrete structure and topsides. With its co-venture partners, Husky Energy is developing West White Rose with a concrete gravity (CGS) supported wellhead platform which is an innovative technology for the region and a proven concept around the world. This project introduces an established and innovative technology for developing small fields for the outlying areas of large fields to the local oil and gas industry, offshore Newfoundland. Husky is the first to bring this CGS technology to Newfoundland and Labrador. The platform is a fixed drilling rig, which will produce oil and tie it back to the existing SeaRose FPSO. The benefits of this technology include; improved drilling efficiency, reduced weather downtime which is important in harsh conditions, lower operating costs and greater resource recover. Total project cost to first oil is $3.2 billion and total project costs over the life of the project are $5.2 billion. Much of this project cost will be spent with local and Canadian companies who are successful bidders on the work. Procurement opportunities for West White Rose can be found at HuskyEnergy.com. Significant financial benefits will come to the province including project royalties and corporate income tax. The total platform height is 241 metres and the total CGS weight equals 210,100 tonnes. The Argentia Graving Dock where it is being built was completed in May of 2015 and is approximately 25 meters deep. This allows the CGS to be constructed completely in the dry dock. The total in-province person-hours is expected to be approximately 10 million. The project requires between 700 and 800 workers at the Argentia site during the peak construction phase. More than 18 million person-hours will be utilized for the wellhead platform operations, creating approximately 250 new platform jobs as well as indirect employment for approximately 1,500 people. Extension of life of the field for the SeaRose FPSO will result in more than 11 million person-hours of additional work and continued employment for the crew of the SeaRose. Project construction for West White Rose continues to advance at three main sites: Marystown, and Argentia, Newfoundland and Ingleside, Texas. First steel for the Topsides was cut in April 2018. The living quarters are progressing in Marystown currently. In Argentia, supporting infrastructure has been installed such as piping infrastructure, the concrete batch plant, offices and more. Test pours have been completed and we will start pouring concrete later this year. There are currently about 300 workers on the Argentia site and this is expected to peak at 700-800 workers over the summer of 2018. Like many of the White Rose oil discoveries, this project will be a prosperous success for Husky Energy and it’s partners, the people of Newfoundland and Labrador as well as Canada. It’s a winner. Congratulations! That’s a Great project for NL, and Husky. That’s a Great infrastructure for all, including Argentia and Marystown.